White glove service, is a specialty delivery service provided only by CountyImports.com for vehicles 49cc-400cc. This service goes beyond a traditional curbside delivery. With White Glove, our delivery will leave you with the "WOW FACTOR". 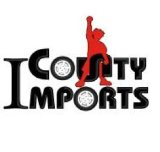 This same service you may have come to expect from companies such as Amazon.com or Sears.com and for a "LIMITED TIME" this $99 service is free to CountyImports.com customers who spend over $1000 on a Vehicle. Generally carriers will drop your package at the curb and leave. This is called "curbside delivery". This service is not bad, however with our large crates, you can accidentally damage your package. See our crates here. The delivery agent will spend a max of 30 minutes for free with your package; opening, removing and safely storing the crate refuse in a safe plase of your choice in case you need to return. With time left, depending on the size of your vehicle, the service will allow for light mechanical assembly, i.e putting on the mirrors etc. Although not a mechanic, this service will certainly cut down time and added effort required by the new owner. What would you be doing with this extra time? Did you know: This is the same service you have seen with a TV delivery or a Bed. The delivery men would come and set up the bed for you. This is called "White Glove Service". 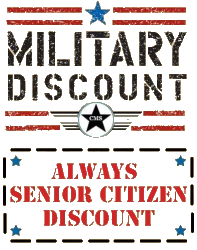 This same service is for you and your new vehicle. Call 877-868-5828 with questions! Once complete and times up, your specialty agent will take with him, any packaging material. This process will leave you with just your new vehicle to focus on preparing for the road. How cool is that?!? Terms of Service: This is a free service and based on the drivers knowledge and experience. Each customer who ops for White Glove Service, is entitled to 30 minutes of light labor. How you use this time is up to you. We suggest the list above for best results. If you wish to have an Ice Tea with this person, that's the beauty and totally up to you! Should you have any questions, please do not hesitate to contact us at 877-868-5828. See our vehicle preparation process here. Enter: "WHITEGLOVE" during checkout. 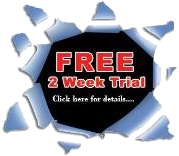 Would you like to speak with a sales agent and help get the best deals?